Talk of Alabama Went Well! The interview at Talk of Alabama was a REAL conversation booster as Javante Ingram put her magic interviewing skills out there to get the Angel writer story and helped me completely forget that I was on camera. This was a real conversation! Sometimes I get so involved with my characters and the angels who are all around them that I almost get used to them. It was so encouraging to have someone asking sincere and conversational questions about COUNTENANCE and the Readers Favorite Silver Award. I came home with renewed excitement about this upcoming award ceremony! I hope you will be able to get the same pleasure when you view this little video of the interview. Ms. Ingram, while giving me a lot of space to describe the world of the Angel writer, focused on COUNTENANCE and the Silver Award at Readers’ Favorite. 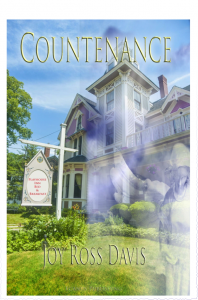 I never dreamed, when I submitted the book for a review and listing at Readers’ Favorite, that COUNTENANCE would receive an award. I still get butterflies when I think of it. The acknowledgment stimulates and encourages me to keep on writing. I hope you all are enjoying the Facebook ‘shopping’ for appropriate apparel to wear to the awards dinner in Miami. I appreciate each and every member of the Angel Pack. 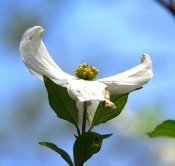 Along with all of the encouragement I get from events like Talk of Alabama, knowing that I have you all in my ‘tribe’, encouraging me every day as we go along with new stories. You are a magnificent and entertaining author. I am so pleased to know you are receiving this award.